Queen of Katwe embraces a familiar sports movie setup, telling a Cinderella story about an underprivileged and ambitious young player who surmounts impossible odds to become a champion. Produced by Disney, the film plucks our heartstrings and, despite our awareness of its manipulative formula and inherent melodrama, it nonetheless accomplishes everything the story sets out to do with impressive precision. More than that, this tale of real-life Ugandan chess player Phiona Mutesi brims with quiet energy courtesy of an excellent soundtrack and director Mira Nair, who captures the social struggles and family drama in Phiona’s difficult life. Nair’s soulful treatment deepens the sports element of the story, elevating the material beyond its obvious structure and predictable conclusion. 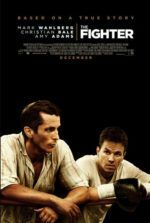 Based on ESPN writer Tim Crothers’ 2013 best-seller, Queen of Katwe was adapted by William Wheeler (The Hoax) and follows the underdog setup to the letter. 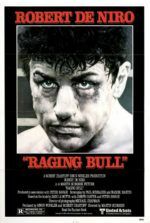 However, Nair’s decision to shoot on location in Uganda and South Africa lends the film an essential authenticity and beautiful visual presentation by cinematographer Sean Bobbitt. Nair’s filmic niche concentrates on clashing cultures and family struggles, as evidenced in Mississippi Masala, Monsoon Wedding, Vanity Fair, The Namesake, and The Reluctant Fundamentalist. She understands the importance of location and how it reflects a specific culture, and nearly every scene in Queen of Katwe contains this dynamic. In Katwe, a neighborhood in Kampala, Uganda’s capital, poverty runs high. But the grim, ramshackle structures and muddy streets are contrasted by Mobolaji Dawodu’s excellent, brightly-colored costumes in African patterns. In a modest hovel, jealously vigilant single-mother Nakku Harriet (Lupita Nyong’o) watches over her four children, having lost her husband and fifth child. Selling maize in the slums, their family just barely scrapes along in their unforgiving world, where women of this class seem destined for one of two central roles: either they sell food as a street vendor, or they find themselves a sugar daddy. Harriet’s eldest daughter, Night (Taryn Kyaze), takes the latter path. But her middle child Phiona (newcomer Madina Nalwanga), resists either path when she learns of chess, which in Uganda is a sport matched in its popularity only by football (soccer). Alongside her younger brother, Brian (Martin Kabanza), the young teen learns the game from Robert Katende (David Oyelowo), a coach from a local youth ministry. Robert has his own struggles and scars, and Oyelowo brings an untainted humanity to the role. As a refugee, Robert lost his family long ago and, despite being highly educated and intelligent, he has none of the class requirements or connections that would land him a high-paying career as an engineer. Instead, he lives a humble life alongside his family and teaches children to play chess. Phiona, an uneducated natural, has an instant aptitude for the game. Though she’s unable to read, she’s an aggressive player who devises complex solutions to survive, perhaps because her life in Katwe requires so much grit and perseverance. She uses chess to strengthen her mind and defy the roles of womanhood laid out for her. Meanwhile, the ever-proud Harriet remains suspicious of Robert; she has only known one way of life, and she questions how Phiona’s reality will be improved by a board game. Central to Queen of Katwe’s triumph is Nalwanga, whose performance grows more natural and confident as the film goes on. Phiona’s observant presence gradually leads to a complicated realization after she wins a couple of chess tournaments. The dominant strain of the plot finds Phiona desperate to escape the slums, as she’s exposed to the comparatively posh lifestyles of the students she’s defeating from private schools. She wants that better life for her family and finds it difficult to return home after she’s been away. Smart enough to understand her circumstances, but seemingly powerless to do anything about them, Phiona is at odds with herself, her surroundings, and whether or not she should continue to play chess. A hard-won determination and faith in her abilities bring her to victory, which everyone in the audience will see coming. But it’s no less satisfying for its predictability. Best of all, Nair also makes watching the individual matches an exciting prospect, even for those unfamiliar with the game. Unlike last year’s Pawn Sacrifice, which assumed everyone watching knows all the rules of chess, Queen of Katwe establishes Robert’s overarching theory of how the game is won—specifically, by defending your queen and simultaneously attacking your opponent’s. This experience is made even more enjoyable through the story’s supporting group of Robert’s students, each played by a child actor delivering a delightfully unpolished performance. Scenes in which the playful slum kids defeat the overconfident rich boys are undeniably satisfying; even more so for Phiona, who is constantly being marginalized for her gender. 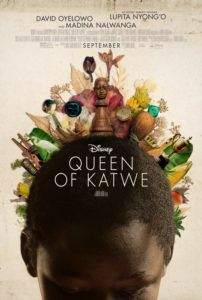 More than a sports movie, Queen of Katwe subsists as a family drama and a character study about an impoverished young woman determined to follow her own path. The chess tournament segments, which contain the film’s most Disney-like qualities, prove less interesting than the sometimes frighteningly real cultural realities pervading Phiona’s daily life, which do not feel Disney-like at all, refreshingly so. Nyong’o’s wounded-yet-determined performance encapsulates those concerns, particularly when her character resolves to support her daughter no matter what. And regardless of another solid turn by Oyelowo, the breakout performance here is Nalwanga. Phiona remains a moving example and a beacon of hope in the face of her nation’s potential for dehumanization, especially of women, and Nalwanga captures her with impressive humanity. Queen of Katwe‘s narrative may follow well-treaded conventions, but the emotional payoff is irrefutable and will leave you inspired.